NEW! Made out of Wax Wood. 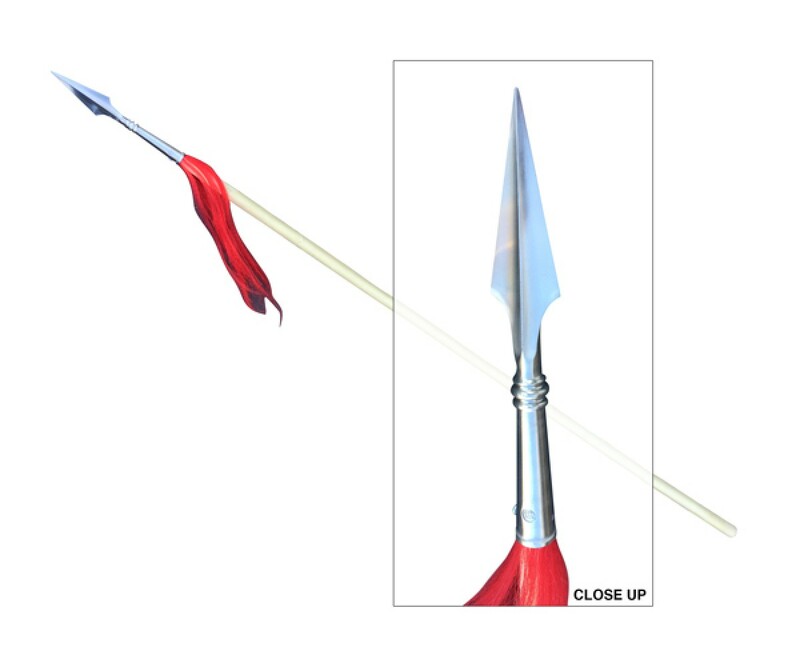 Spear tip is made out of stainless steel. The head is strong and has a distinctive diamond shaped-cross-section. 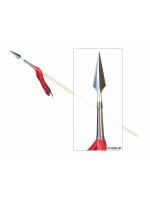 Spear Head Overall Length 12"; Tip Length 7.5"; Weight: 0.5 lbs. 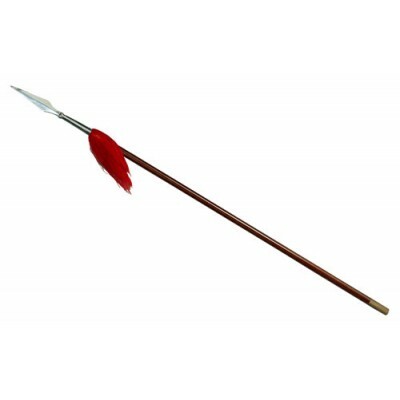 Approximate Receiver Diameter: 1.3/4"
The spear is called the king of all weapons. 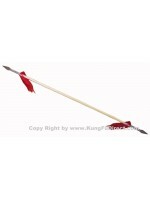 It is one of the dominant wushu long weapons. 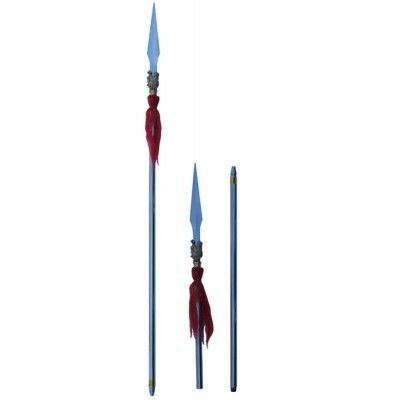 advance and retreat freely and smoothly, pricking the opponent quickly and directly, with the force on the point of the spear. This is one of the important basic skills in spear play. the point of the spear moves in a circle, which is regarded as the fundamental of all styles of spear play and requires hard practice. To get a proper height of the spear, the person should stand straight first. Then stretch one arm straight over the head. The tiptop of spear should not be shorter than the wrist or longer than the finger tip of the stretched arm.